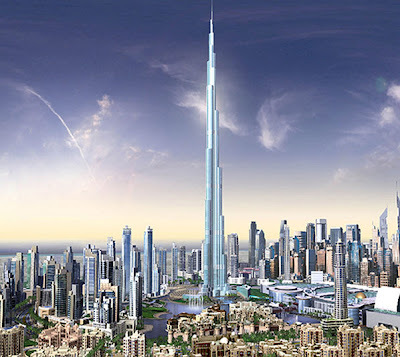 There is a prophecy saying the economic crisis will hit hard once a country built the tallest building in the world. It’s true to witness the opening of the then world’s highest Empire State Building in New York in the stumbling Great Depression in 1931. The Petronas Twin Towers of Malaysia celebrated its world’s tallest in 1997, and the Asia Economic Crisis descended the following year without warning. The Taipei’s 101 Tower overtook Malaysia’s record, its construction was in the middle of the Dot-Com Bubble burst in 2000 that affected Taiwan which was economy heavily depended on IT industry. Now, the same omen seemed to haunt Dubai. The Burj Dubai was shot up into the Emirates’ skyline; currently stood at 818 meter high and could be higher. The jubilant of achieving the world’s record might not been felt at all, because the people in Dubai have already been slapped hard by the sloppy economy. Due to the job-cuts, a report says averagely 5000 expatriates fled the country everyday. Some even left their unworthy loaned cars behind unreclaimed which have piled up the parking bays of the new airport. I flew the Emirates to Dubai with just a quarter of seats taken, but full occupancy when I returned to Kuala Lumpur. Some says the situation could be worsened in the next 6 months. A furrowed taxi driver told me his passengers were reduced by 40%, the shopping malls garnered thinner crowds than the previous years. In fact, when a bubble is blown overly too large, it’s just a matter of time to expect a burst. When ones’ earnings cannot justify their extravaganza lifestyle, the credit chunk will crush anytime. But some Emiratis welcomes the slowdown. "This is a blessing; we need it," Abdul Khaleq Abdullah, a political science professor at United Arab Emirates University, said of the fiscal crisis in an interview. "The city needs to slow down and relax. It's good for the identity of our country.” Emiratis have fretted for years over the loss of their culture, as social norms became more a product of the newcomers than of the nationals. Now, some are pinning their desires for a cultural salvation on the global economic downturn, which they hope will give them a chance to reassert their customs and way of life. Despite the slowdown, our booth at the three-day InterSec Show still drew quite an extensive sum of visitors mainly from the Middle East and North Africa. 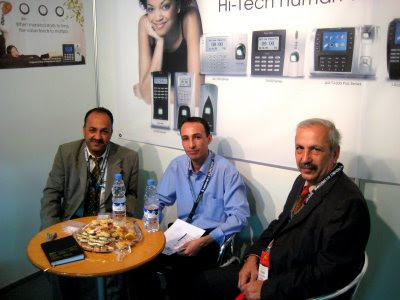 Some FingerTec partners, direct or indirect, to name a few, like Dr. Riyadh of Al Salam Co. from Iraq; Mr Maher of New Al-Mawared Co. from Syria; Mr. Khalil of Betalink Technology from Yemen; Mr. Hazim of UltraTech from Sudan; Mr. Ali Jaffal of Jaffal Group from Palestine; Mr. Abdelhak of ADC Electronique from Algeria; Eng. Abbas M. Hussein of Larsa Trading, Mr. Tahir of Nice Technology and Mr. Tabish of The Ghazi Khoory Group from UAE; dropped by to say hello; not forgetting to mention Mr. Faisal from IPTEC and Mr Pillai and Mr. Abbas from Seven Seas in Dubai helping us at our stand. When FingerTec gains its popularity over here, the exhibition booth is also a meeting point for our partners to meet us and share their market experiences, besides drawing in some new prospects. The economic downturn no doubt is taking some effects on Dubai, but the overall impact does not really spread to the other parts of GCC (Gulf Cooperation Council) countries (yet? 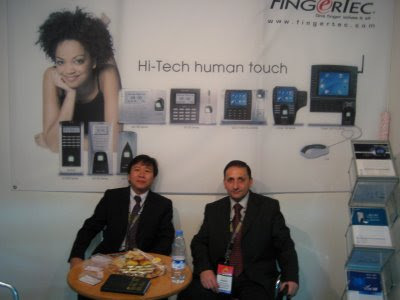 ), I still expect the market bullish for FingerTec products in this region this year. Next year, for the same show, we’ll come again. Do you have a habit of writing a diary? If you didn’t, it doesn’t matter; your government may already help you to write one and detailing your daily activities without your knowledge. 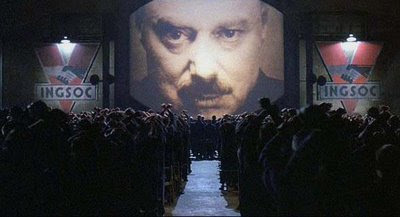 Big Brother is always Watching You and the Thought Police can practically read your mind. This is a fictitious scenario described in famous George Orwell’s futuristic novel “1984” wrote actually in 1949 telling a tale happened in 1984. In fact, the surreal becomes real when the Iron-Curtain countries slowly formed after the World War II in 1945, and their people were being closely monitored to shut the influence from the Free World. When the Russian Federation was established following the dissolution of Soviet Union in 1991, it ended the Cold War. Peace arrived, the world was merged again into one, and the terrifying Big Brother machinery was disintegrated. The optimists proclaimed. 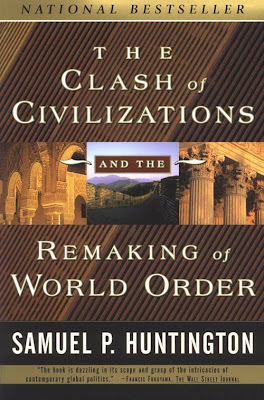 But Samuel P. Huntington (April 18, 1927 – December 24, 2008) published his thesis “The Clash of Civilizations” in 1996, offered a different perspective of the post Cold-War new world order, which predicted to be also full of conflicts and no less of wars, immediately sparked a mass discussion worldwide among intellectuals. In general, his viewpoints unfortunately proved to be true. So does the supposedly dismantled Big Brother machinery. 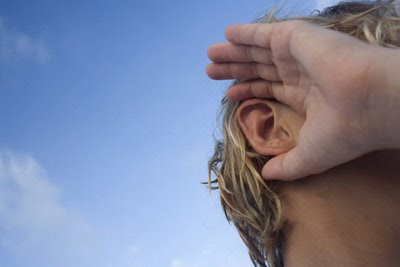 With the advancement of Information Technology, the monitoring system is evolved into a far more superior and effective than the once based on Thought Polices and espionage techniques to pry on ones’ privacy. And this time, it no longer confined to Iron-Curtain countries. My explanation would be no match to Hollywood movies. In short, if the technologically equipped government has such an intention, they can easily strip you bare. The argument is, who should be more transparent, the government or the people? Besides, whose privacy should be protected, the government’s or the people’s? Technology didn’t take side and it stays neutral. If a technology was in a good hand, it brings welfare; if it was in reverse, it creates warfare, and in a larger scale. The elected government should be responsible to their people; they have to take care of their people’s interest, they should be more transparent for accountability. In contrast, privacy should be protected for normal people, whether or not their self-interest is harmful to the society but with the punishment awaited when they’re proved wrongdoing. 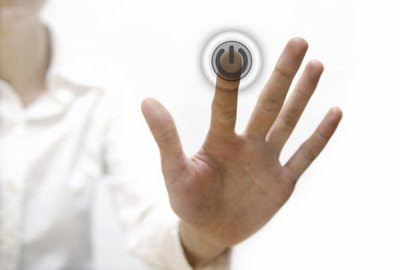 Just like Biometric identification technology, if you have wisdom and clear mind, you can use it to protect privacy in access control. Besides, to use it to achieve undisputable trails in time and attendance is also to promote accountability and honesty. You can’t stop the technology advancement, but you can use it in a good way. 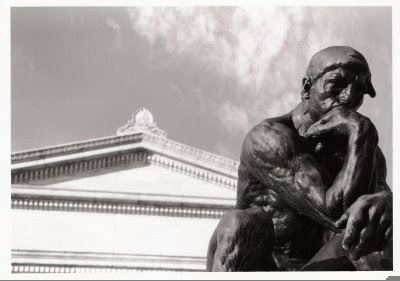 With wisdom, privacy is not always confronted with the transparency, they can go in pair to benefit the human race. The economy hasn’t made any sign of recovery at the time I’m writing this article. America, while it is hopeful with the change who leads the nation, still is lingered with doubts on the future of the country in terms of economy. Russia is blanketed with questions on how they would recover the credit crunch crisis that leaves many hardworking citizens unemployed. Britain is broke and so are many other countries. Tensions and conflicts continue to worsen around the world, fueled by India-Pakistan crisis which has escalated to a new level of warning following the attacks in Mumbai; Bangkok’s politic remains unpredictable despite democratic selection of the Prime Minister, attacks in Gaza divides the world. It’s indeed melodramatic to keep on singing the poignant tunes. Nonetheless, to remain in business, a certain level of optimism must be preserved. How’s the world faring for us in 2009, I would like to offer my perspective. 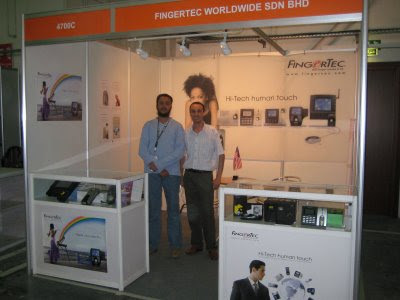 South East Asia is a small, yet very relevant region to FingerTec. Credit crunch crisis might have affected some countries like Indonesia, Vietnam and Singapore more severely than the rest due to plummeting of local currencies against the US Dollar; however demands for security products remain positive from the consumer market, as security is still the major concern of businesses. For example, In Malaysia, tax incentive is proposed for security control equipments in 2009, encouraging businesses to put focus on security at the workplace. As promising the market sounds, resellers have to take most of the beatings, managing cash flow to keep the company going, constant haggling for cheaper price with suppliers, at the same time facing the risk of customer pull out at any attempts to increase retail price. FingerTec has to remain hopeful in the South East Asia with carefully strategize marketing plan in Malaysia and Indonesia, the two biggest markets of FingerTec in this region. On January 15, FingerTec Worldwide in collaboration with CV Retailindo Tech will organize TA100 DIY product launching in Jakarta, targeting smaller offices, which prefer hardware without software complexity. The new founded partnership with Silver Seas rekindles FingerTec’s hope in Vietnam which had been kept in view in the last two years. India is a constant struggle with pricing in order for us to remain relevant in the market that is filled with cheaper goods and mediocre support. Compax is fighting for a space for FingerTec in this tough and price sensitive market. The love hate relationship between the Middle East and the West doesn’t affect us that much or at all. 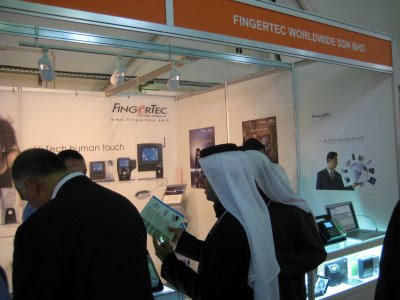 We hails the Middle East for all different reasons, the business is abundance from this part of the world for FingerTec. Grey marketing remains one of the biggest challenges because apparently the middle easterners are friendlier with their neighboring countries and business moves freely between them across borders, and the fact remains that they know about one another pretty well. Exclusivity in distributorship while on the one hand comforting to both agreed parties, on the other it could spell insignificant tie if parallel importers remained a problem in this region. FingerTec will be showcased in Comex, Mashahad Iran by our partner Toos Anis this January and concurrently we will stage a joint exhibition with Seven Seas, our partner in Dubai at the Intersec, Dubai. 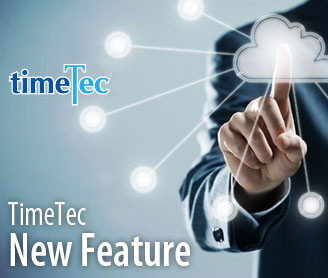 FingerTec has made progress in Bangladesh and Pakistan with appointments of new exclusive resellers comprising of Mushko and General Automation that are experienced in the field. FingerTec in Jordan is thriving with assistance from Euro Jordan and we are doing good Kuwait with the push from ITDelta. 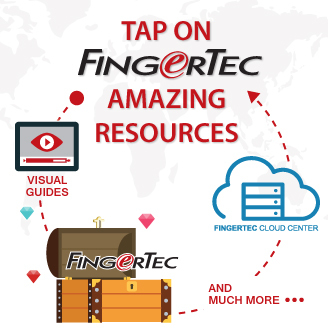 Rebuilding of Iraq spells good business for FingerTec and requests keep coming from the Middle East for FingerTec due to our localization strategy. Our marketing materials pay attention to the sensitivity of Middle Eastern people; we introduce the picture of a covered Muslim woman instead of the sleeveless FingerTec girl. Mr Benacer Douadi (ben@fingertec.com) is making contact with the Arabs using Arabic language and he speaks French with people from North Africa. Sudan, Nigeria, Egypt and South Africa have done a great job in making FingerTec popular in their respective countries, and with the support from FingerTec, we could do so much more in 2009 in terms of showcasing the products to a larger audience through exhibitions, advertisements and strategic position of FingerTec products in Africa. 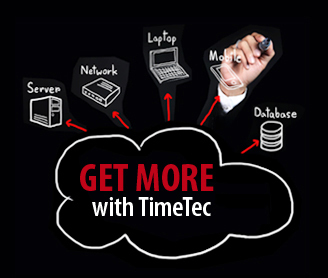 FingerTec is still finding its way to capture the market of the USA, Europe and Russia. All of them are badly hit by the economic downturn. America & Russia are having no money to spend and everything in Europe is getting pricier; still our hopes are not dampened. In March, our team will fly to Moscow for MIPS 2009 hoping to get some business from this Putin country, in May we will participate in IFSEC UK and in July we will head to Miami to attend America’s Fire and Security Show. Mr Batyr Komurzoev (batyr@fingertec.com), FingerTec in charge person of the CIS countries realizes that his tasks are not a walk in the park. Extra efforts are required to connect with the right partner while strategizing on the brand presence over the Internet, in Russian. FingerTec had salsa and samba in Latin America in 2008 and the music gets saucier in 2009. Mexico and El Salvador maintain positions as two of our largest players in Latin American continent. Sales in Ecuador, Venezuela, Angola, Nicaragua, Peru, Argentina is picking up and requests from other countries are being closely monitored. 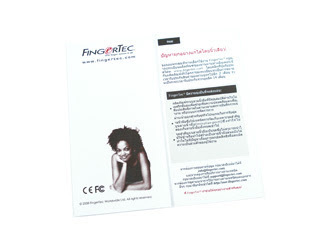 Spanish language localization has been proven effective and Ms Regielou Rolloque (regie@fingertec.com) is busy building rapport between FingerTec and the clients from the continent. GM Robotic of Mexico will participate in Expo Seguridad México 2009, which will showcase FingerTec in April. Our team will head to Brasil for Exposec 2009 in Sao Paulo, looking for opportunity in the largest country in South America. And, me and the team are all geared up for the challenge of 2009. One day I noticed that a technical staff was taking unusual extra days and emails to resolve a problem. I sent him the following little reminder to insinuate my dissatisfaction. Customer: How to solve problem A? FingerTec: Problem A has A(1) and A(2), which one do you mean? Customer: Sorry, it is supposed to be A(2). FingerTec: Okay. But A(2) has three options, A(2a), A(2b) and A(2c), which one do you refer to? Customer (impatient): My problem is A(2b). Please hurry up, it's urgent! Just like FingerTec slogan, one finger solves it all, the challenge for our technical supports should be one email solve it all! A good support should have an analytical mind to see a problem inside out, and to provide full solutions in a single email. 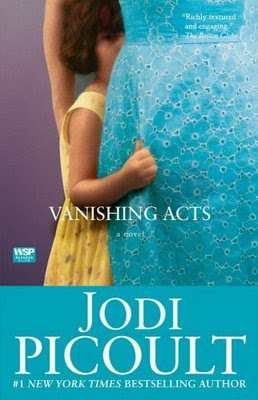 The above quote is the very first paragraph to start Jodi Picoult’s novel entitled Vanishing Acts. There is a Chinese proverb which carries the same meaning, “凡走过必定留痕”(Wherever you go, you would leave some trails). But, trails can be counterfeited which make them disputable sometimes, when authentication is based on a medium like a card or a key. Undisputed trails. The Biometrics products try to lament. It’s good to improve security, but some say, it’s terrifying too, because when authentication needs a body part, an eyeball of a scientist might be jabbed out by a villain who wants to gain access into a control room; a familiar scene in an action or a sci-fi movie. But for time and attendance purpose, it’s certainly exaggerated. Who would want to chop off a finger to prove he or she was not late for work? For the deployment of biometrics in an access control system in office environment, the frightful scenario also is very unlikely to happen. Despite of that, most of the fingerprint vendors have to deal with these preposterous questions thrown at them every now and then. Yes, these questions were from those skeptical people who are too obsessed with Hollywood movies. Some people are against the idea of Biometrics authentication implementation in commercial level, arguing that it violates privacy. The misconception is due to fear that their fingerprint could be reproduced to construct the undisputed trail for other usage, which might get them into big trouble. But if minutiae points are taken instead of the fingerprint image, there is no way to reproduce a fingerprint for other purposes. In fact, when it comes to access control system, biometrics still is the best solution to prevent any intrusion of your privacy. I quoted some literacy phrases to combine sense and sensibility to soften this topic, but my writing style landed me with more sense than sensibility. 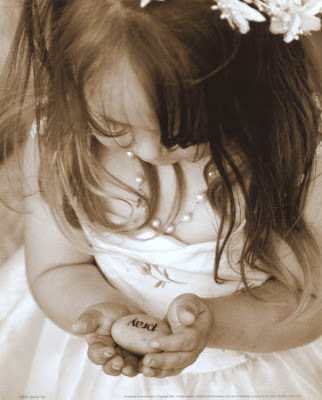 :-( My writings reveal my character; it’s an undisputed trail from biometrics, too!